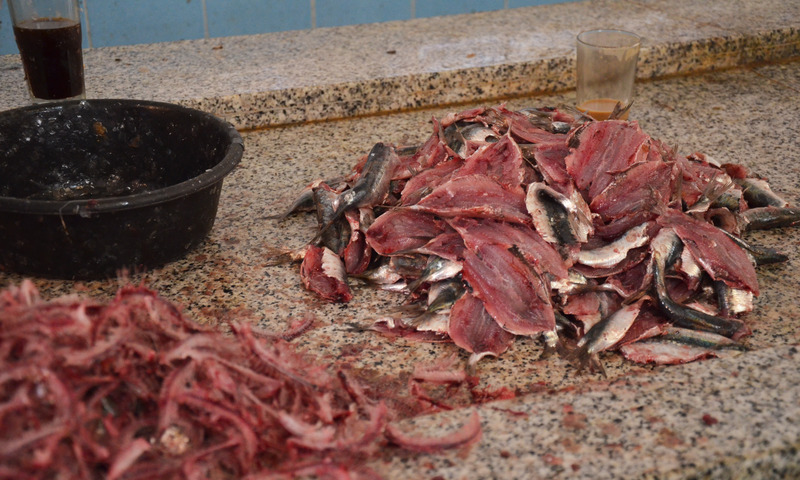 We were in Tangiers for three whole days. It was one day too many – two would have been fine. 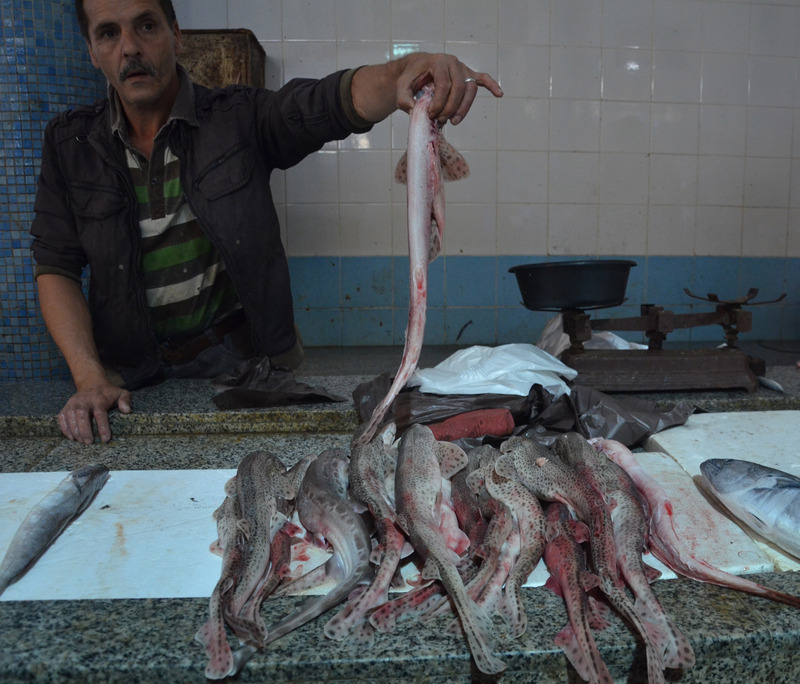 On the third day, as we were wandering, we walked deeper and deeper into the souk…until we found the fish market. 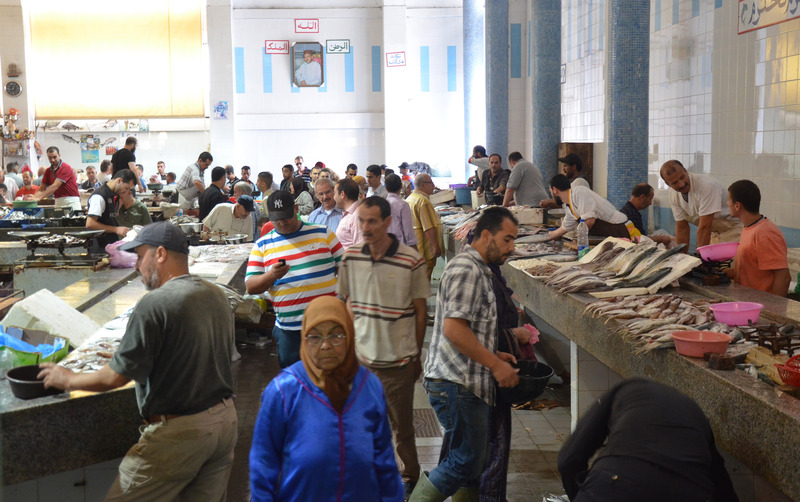 The day after a long public holiday in which the market had been closed, everyone was there, buying fresh fish. And so were we, cameras in hand and eyes open. 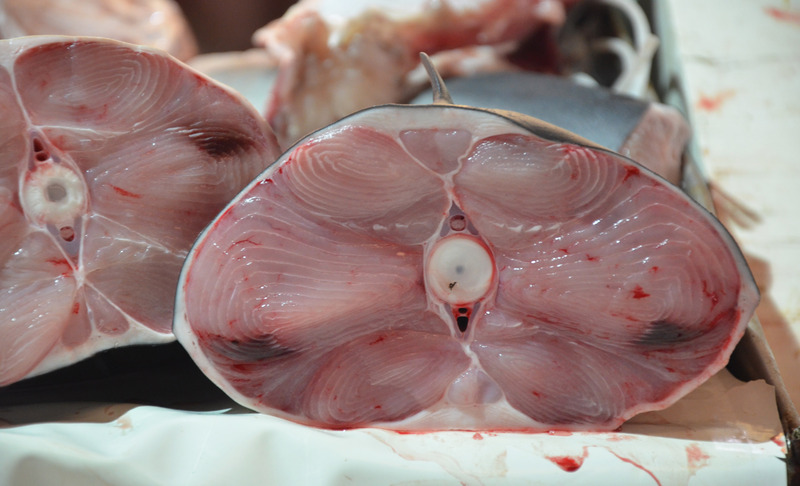 For me, fish markets are the best place to see the difference species that are taken and sold in a country that I have never been to. 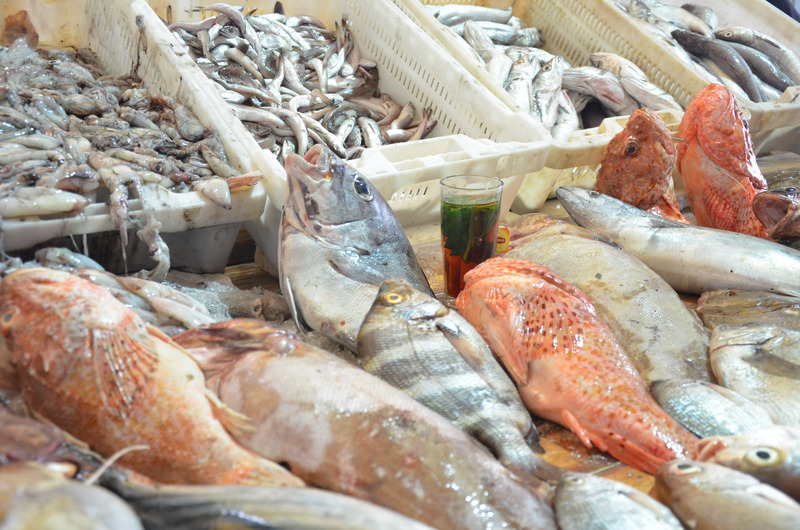 Whereas meat markets can differ only slightly (maybe in the cut of meat) and fruit and veggies are interesting for a short while, fish markets are marvellous. What I noticed: the sharks (so many sharks!) – from small to absolutely humungous; the tuna; the dirty looks. It was the only time in Tangiers that I felt ill at ease, even though I was dressed modestly and asked everyone if I could take photos.